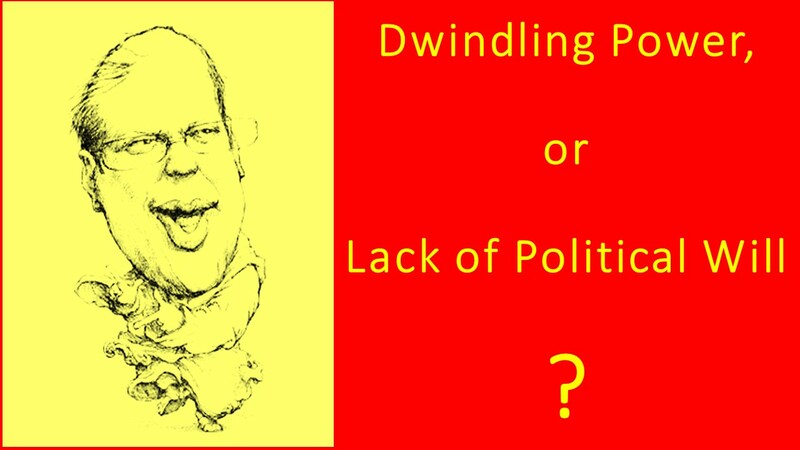 Dwindling Power, or Lack of Political Will? MAKATI CITY (MindaNews/22 April) – Attending “Titayan: Bridging for Peace” Symposium-Workshop which formally kicked off yesterday in Ateneo de Davao University, Davao City, is yet another good opportunity to extensively discuss inclusive political transitions in the Bangsamoro at this critical moment of national leadership transition. Culled from the Maguindanaon, Maranao and Iranun word for ‘bridge’ (titayan), the symposium-workshop is jointly organized by Friends of Peace and Ateneo de Davao University’s Al Qalam Institute for Islamic Identities and Dialogue in Southeast Asia and University Community Engagement and Advocacy Council (UCEAC), and it was formally opened by Fr. Joel Tabora, SJ, president of the host university. In his 25-minute keynote address, Cardinal Orlando Quevedo, OMI, the Archbishop of Cotabato and Lead Convenor of Friends of Peace, passionately shared his personal understanding of the ‘apparent failure’ of the BBL, gains of the peace process, doable steps in the future, and most importantly, his personal vision of peace. In the Panel Session 1 about the protection and implementation of peace agreements during political transitions even without legislation, Dr. Chetan Kumar of India and currently the Advisor on Peacebuilding for the Office of the UN Resident Coordinator in the country, gave his 20-minute presentation on global experiences of conserving peace agreements during political transitions, and it was followed by another presentation on good practices and lessons learned in ‘grounding’ peacebuilding in Mindanao by Prof. Rufa Cagoco-Guiam of Mindanao State University – Gen. Santos City Campus. One thing worthy of reaction was the point raised after the first panel session by a political negotiations advisor and former chief negotiator of the GRP that one of the challenges facing the current peace process is the dwindling of the chief executive’s power in the existing more open democratic space and in the information age wherein every domestic issue has international repercussions due to the social media. Accordingly, one of the theses of the peace process in the Philippines is its reliance on the power of the chief executive – the power of the President – to deliver and implement a peace agreement, and his thesis is that compared to the governments of Marcos and Cory, there is the gradual decay or the gradual lessening of the power of the chief executive if gleaned from the government-sponsored legislation. In reaction to this, first of all, the government advisor preferred not to mention that the same chief executive was the chief agent – real or perceived – in unprecedentedly pressuring an ombudsman to resign, impeaching a chief justice, and putting the then incumbent senate president and other senators behind bars. Second, as astutely pointed out by the first panelist, Dr. Kumar, the very same forces and elements that have allegedly been weakening the chief executive’s power could also be utilized by him or his government to wield more power and leverage, and demonstrate his sincerity and political will to push forward the peace process. Third, has the power of the chief executive really dwindled to such a point that he could no longer certify the BBL draft submitted to the Congress as ‘urgent’ as he is supposed to do?